James-abra, Erin and Edwinna Von Baeyer. 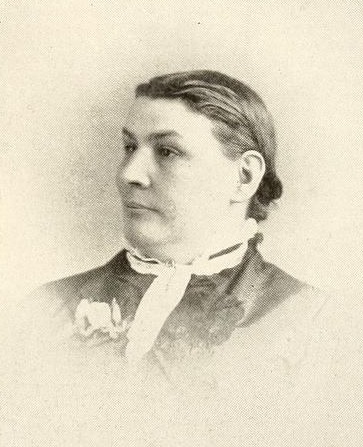 "Annie L. Jack". The Canadian Encyclopedia, 25 January 2019, Historica Canada. https://www.thecanadianencyclopedia.ca/en/article/annie-l-jack. Accessed 24 April 2019. In 1852, at the age of 13, Annie Jack left her home in Northamptonshire, England, to attend Emma Willard School, a girls’ private boarding academy in Troy, New York. She moved to Châteauguay, Quebec, and in 1860 married Robert Jack, a Scottish-Canadian fruit grower. The couple had 12 children: John, Elizabeth, Annie, Mary, William, James, Stanton, Ernest, Norman, Hope, Milton and Ruth. While the majority of Annie’s children lived long lives, Ernest died in 1872, just shy of his first birthday. A poem by Annie published the following year in the Montreal Daily Witness refers to the death of a young child. Annie Jack and her husband ran a fruit farm called Hillside in Châteauguay. An acre of this farm was set aside for Annie, which she cultivated into an extensive garden of flowers, fruits and vegetables for pocket money and experimentation. Described as a “Mecca,” Annie’s garden became a popular destination for fellow horticulturalists. Annie Jack also published five other books: The Little Organist of St. Jerome and Other Stories of Work and Experience (1902); Rhyme-Thoughts for a Canadian Year (1904); Maple Lore (1910); Belated Violets; and The Christmas Hearth.